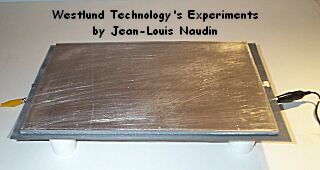 The purpose of these series of experiments is to try to replicate the experiments proposed by Westlund Technology. The tested devices use the full original parts and all the components kindly sent by Fred G. Westlund. So, I hope that I shall be soon able to replicate his experiments and thus validate his discovery.